We have set ourselves the challenge of gathering hundreds of thousands of digital images of watercolours, from all over the world, to create a vast online resource. Here's how we're going about it. Historical watercolours are not always easy to find. Thousands are tucked away in archives and museum stores to keep them safe. Others are kept in private homes, in old family albums or on living room walls. The watercolours on our website have come to us from many different sources which broadly fall into three categories. Public collections (libraries, archives, and museums) across the globe have supported the Watercolour World by providing images and information to us directly. We work with their staff to select the watercolours that we can include. Where necessary, we help these collections to scan and catalogue their paintings. Some of the most extraordinary images on our website are privately owned and have never been seen in public before. We give people a chance to share their paintings safely and, if they wish, anonymously. We want to encourage as many people as possible to submit paintings that they own, whatever their quality, as a way of pooling the world's knowledge online. Increasingly, public collections are making their images open access, which means that people can use them free of charge and without copyright restrictions. These images are typically released under a Public Domain mark or a Creative Commons licence. We have shared these images with a credit and hyperlink to the collection, and ask you to do the same if you choose to share or use them. Read our Copyright Statement to learn more. Deciding which images to include is harder than it sounds. We are, first and foremost, looking for documentary watercolours that were made before 1900. But when you start searching for and selecting images, questions and issues quickly arise. Some pictures are clearly documentary. 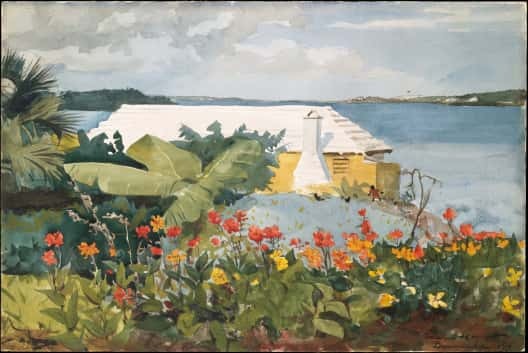 We can be fairly sure that a traveller's painting of a famous building, an artist's portrait of a friend, or a botanist's study of a plant were made as historical records. They were probably painted 'from life', which means the artist made the image at the scene. This isn't true of other images. Battle scenes or pictures of major events were difficult to paint from life. They were often recorded a little later, from memory or using sketches and descriptions. Some paintings look documentary but turn out to be made up; others might be unfamiliar to us but nevertheless depict a real scene. Some artists painted typical scenes of daily life called 'genre paintings', which show people eating, drinking and socialising. These look realistic but often don't depict anyone in particular. Then there are satirical pictures, which show real people and places but distorted to make them seem absurd. All of these images tell us something important about the artist's world, even if they are not 'documentary' in the strictest sense. We try to select images that have a clear connection to a real person, place or event, that the artist could plausibly have known first-hand. A painting of a battle that happened years before the artist was born would not be included, but an artist's satirical painting of Londoners in a pub would stay. There are thousands of watercolour designs for fabrics, clothing, furniture, stage sets and contraptions. These are important records of the products that people made and bought over the years. But some designs were never realised, or if they were, we do not know who commissioned and purchased them. Where possible, we've selected designs that relate clearly to a particular place (for example, architectural designs for a known country house) or can be traced to a known designers' studio. Watercolour artists sometimes made copies of other paintings and sculptures. Many did so to learn about art and test their own abilities, rather than to document the artwork they were copying. We don't include straight copies of works of art, unless the copy is of another documentary watercolour and we can't find the original. We do include images where the artist has painted the work of art in situ (showing where and how it was displayed) as this provides interesting historical context. We prioritise aquatints, a type of print designed to mimic watercolours. 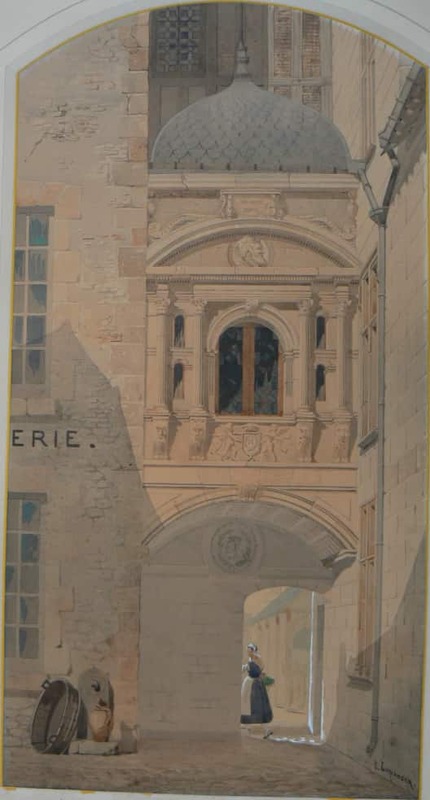 Aquatints were often made by or with the direct involvement of the watercolour artist. We include other coloured prints (particularly hand-coloured prints, which were often touched up with watercolour) when we think the image is of documentary interest. We don't include black and white prints. We try to include only prints that were made within the original artist's lifetime. We try to credit the artist who made the original watercolour or drawing and record the names of the printmakers and publishers in the painting description. The information relating to prints can be quite complicated. Printmaking often involved multiple people, and prints were often tweaked and republished in different editions. Museums catalogue them in different ways and with varying priorities. So there may be inconsistencies in how we record and display prints on this website. Please let us know if you spot anything that doesn't look right. 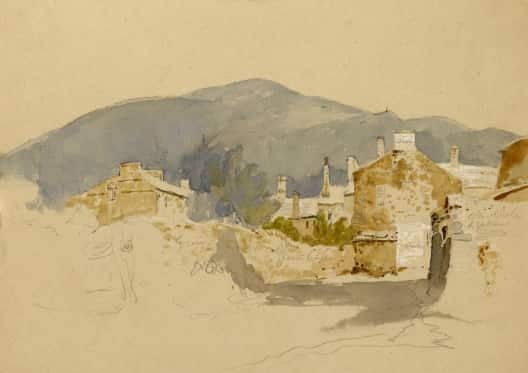 Watercolour artists often made sketches in pencil or pen and ink as well. These sketches include documentary details that are sometimes directly related to a watercolour on our website. For this reason, we include some pencil, pen, or ink wash drawings at our discretion. Once we have received the images and information from a collection, we add some extra details of our own. These additions are designed to help you discover paintings in various ways. First, our volunteers add tags to each image. These are descriptive words that tell you what can be seen in a painting. A picture of men fishing in a boat would be tagged 'people', 'fishing' and 'boats'. A painting of Vesuvius erupting would be tagged 'volcanoes'. Landscapes & Seascapes: pictures of the natural environment, particularly topographical images. Buildings & Architecture: images with buildings as the main focus. Travel & Transport: images that reveal how people got around. Industries & Professions: pictures of people at work, or of the tools and technologies they used. People & Portraits: pictures of individuals or groups, particularly if we know who they are. Flora & Fauna: studies of plants and animals, particularly if they have a scientific emphasis. These categories do overlap: you will often spot buildings in a landscape painting, for example, or a portrait that shows a professional with the tools of their trade. You may disagree with our judgement in these cases. If you spot anything that you feel strongly is in the wrong category or incorrectly tagged, let us know. Portraits are located to where the sitter was living or working when the painting was made. If we don't know that, we try to establish where the person was born, lived, or died. Ships are located to the port they launched from, or along their main shipping route. Animals and plants are located to the region, country or continent that forms their primary habitat. Monuments that have been moved (such as Cleopatra's Needle, which was transported from Alexandria to London) are located to where they stood when the artist painted them. Unrecognisable locations: if we can't identify a location and have no further information, we locate the image to the area where the artist lived and worked. Any location that we add, however specific, is just a suggestion. If you think you can help improve on any of them please let us know. Pinpoint: We are confident that we know the exact spot depicted (or somewhere very close). Approximate: We are confident of the general area such as a town or city, but can't narrow it down further. Unknown: The location we have given is very broad (a country or a continent) or we have made an educated guess but can't be confident. Pinpoint and Approximate locations are displayed as pins on our map. Unknown locations do not show on the map, but they show up in the images underneath as you browse the general area. We try to display the information on our website as clearly as possible, and to help you find watercolours easily. But we need your input to improve. Do you know more about an image and the area it depicts? Do you disagree with any of the tags, categories or locations that we have assigned? Look for the 'report' button at the bottom of each painting page and send us your ideas.